The ruling Democratic Progressive Party (DPP) says it is not shaken or afraid of any political party, including the break-away United Transformation Movement (UTM). DPP Secretary General, Griezeldar Jeffrey said the party is heading for the right direction and in control of affairs to win the 2019 Tripartite Elections. Jeffrey was speaking on Monday when the party officially welcomed Member of Parliament for Zomba Central, Patricia Kainga Nangozo and Mayor for Zomba City, Christopher Jana into the party from the opposition Peoples Party (PP). She said the defection of the two members from the PP to the ruling party was a manifestation of the wise leadership of Professor Arthur Peter Mutharika. The secretary general was optimistic DPP would win in the next year’s elections. “The coming in of the two former PP members to the DPP, Nangozo and Jana, is clear testimony that people in the country have trust in the way Mutharika runs the affairs of the country,” said Jeffrey. She said the two had joined the winning team, clearing claims that the ruling party is afraid of the establishment of UTM. On DPP primary elections, Jeffrey assured people that the party would follow democratic means of electing its representatives in each constituency through transparent primary elections, stressing that anyone wishing to contest for any seat needed to convince the electorate to represent the party in the polls. She, therefore, urged Nangozo and Jana to extend their support to the party for it to win in the May 21, 2019 elections. In her remarks, Kainga-Nangozo said she was happy to be incorporated into the DPP system after waiting for a long time. Nangozo said the decision to join the ruling DPP was made together with her supporters when they noted that the DPP-led government is committed to develop the City of Zomba. “I have joined the party with all my supporters from PP and agreed to render full support to government,” she said. Kainga-Nangozo added that people in Zomba Central were blessed for having her and Zomba City Mayor, Jana finally joining the ruling DPP. On his part, Jana commended government for implementing various projects such as Sadzi Bridge, improved road network, construction of community stadium, installing street lights and the construction of a tele-centre. Jana pledged to work hard for the party to maintain the seats under the leadership of Professor Mutharika. Senior Chiefs Mlumbe and Chikowi including at least 40 village heads and members of parliament from other constituencies in the district witnessed the two officially joining DPP. Nangozo has a beautiful smile, she is really a beauty! Achiswe kakumbeni dzenje mudzikwilire, anzanu akuona zomwe mwasankha kuti musaone ndi khungu lanulo mukhalira kutsutsa boma mpaka kalekale. Does this lady live on planet earth? She clearly does not live in Malawi if she thinks the President and the DPP have successfully run the country for the past four years. Patricia Nangozo uyu watsatira mamunake VP wa eastern region. Mmalo mokapanga campain muli busy kuzigulitsa pa nyasatimes? Akudoda Yunus Mussa uona!! Kuba inu, simungawine . 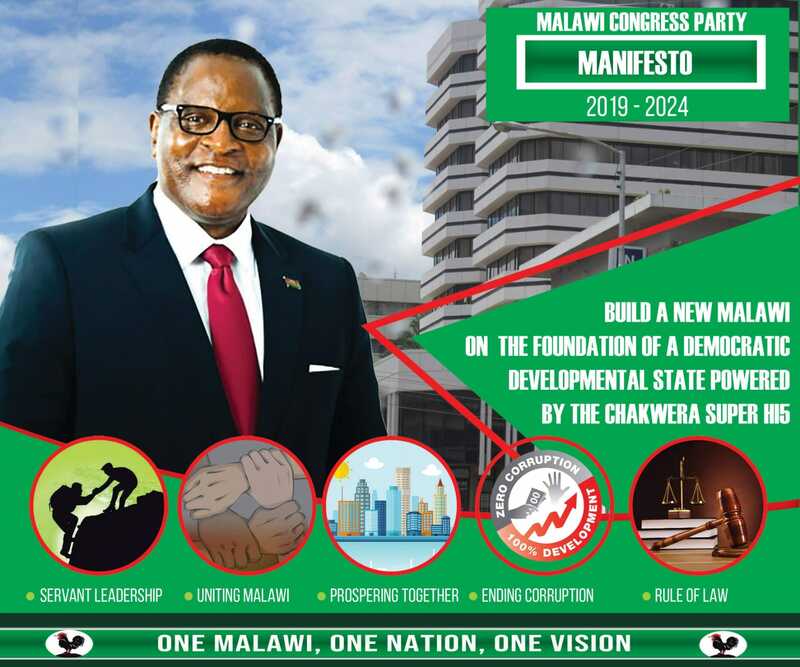 Deal ndi Chakwera basi. Ana achepa – akayamwe kwa mayi ujha. Koma chitukuko chokhacho mzozodo Peter Mutharika and his government akuchichita zochita kuoneka ndi maso.